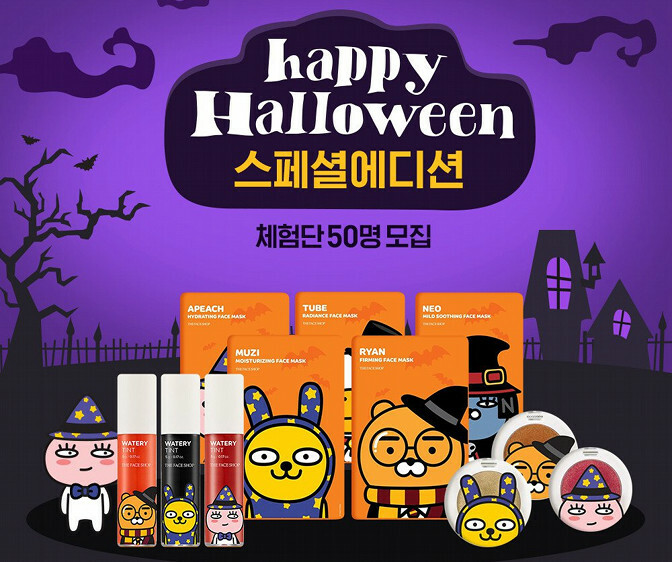 The Face Shop x Kakao Friends Halloween Collection | Memorable Days : Beauty Blog - Korean Beauty, European, American Product Reviews. If you are following me on my 2nd instagram account: @Sokobeauty you already saw that The Face Shop will have a new collection out soon! 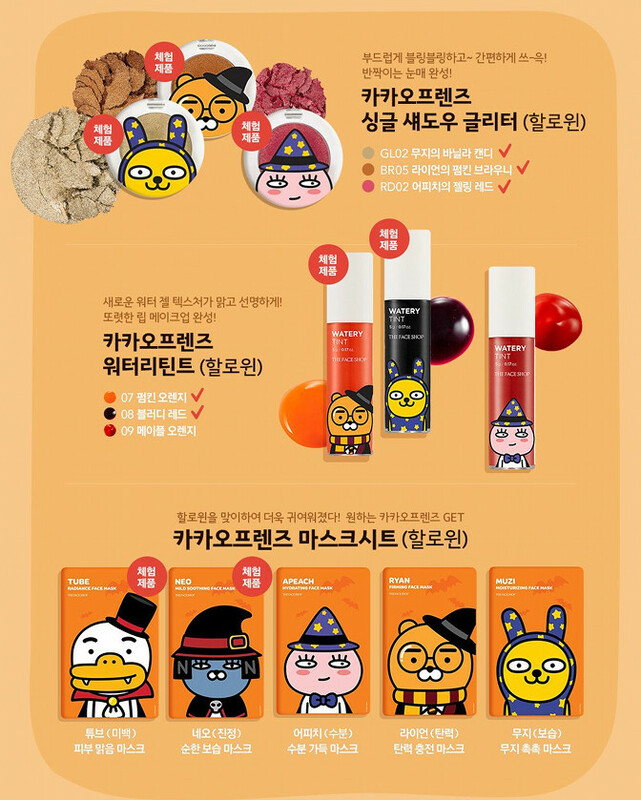 The Face Shop will release a new collection in collaboration with Kakao Friends and it's a halloween edition! It's adorable! 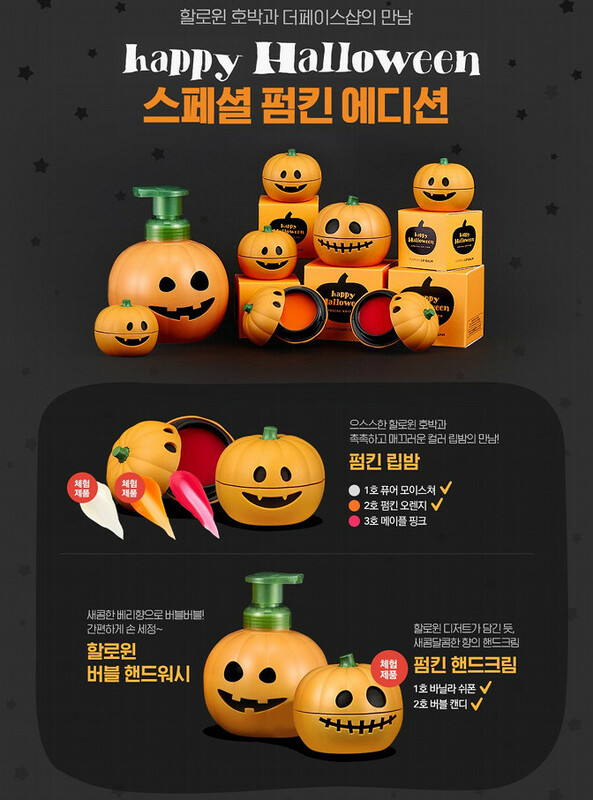 The collection contains: 5 sheet masks, 3 lip tints, 3 eyeshadows, pumpkin lip balms, a pumpkin hand cream and a pumpkin hand wash. There is no release date yet, but I am sure it will be out within these weeks, I will update this page once I know more. pictures are form the face shop. You are able to purchase it at bbcosmetic.com. Feel free to use my coupon code LZG213U03 to get discount of 10% on your whole purchase. WILL YOU BE GETTING ANYTHING? Ooh these look amazing. I can't wait to here when they're released. Is there anywhere I can buy these from the UK?